Location: Fishamble Street, Temple Bar, D2. George Frederic Handel Hotel Dublin (often known as Handels Hotel Dublin) is located on Fishamble Street in Temple Bar. This street is where Handel’s Messiah was first performed way back in 1742. 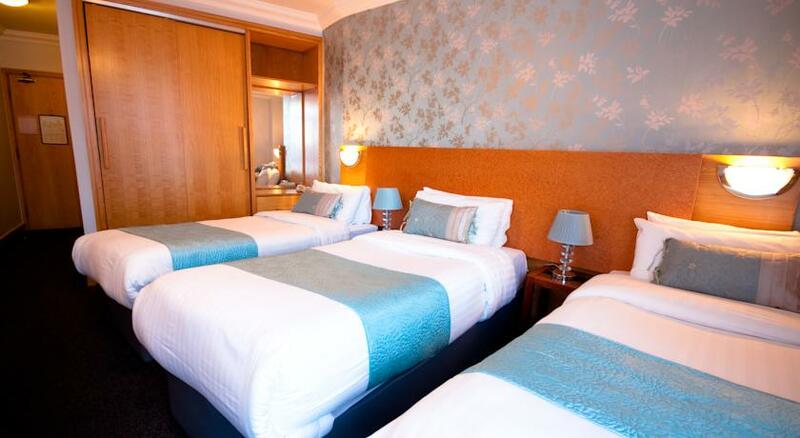 This hotel is very keenly priced considering its iconic location and is regularly in the list of cheap Dublin hotels. For anyone looking for a cheap Temple Bar Hotel the George Frederic Handel should be high on the list. It should be properly described as an ‘Aparthotel’ because as well as normal hotel rooms it also offers a range of self catering apartments. The 40 rooms at the 3 star Handels Hotel Dublin have classic furnishings and are equipped with a flat-screen TV, an en suite bathroom and shower and a seating area. There is a choice of single, twin, double and triple rooms as well as one, two and three bedroom apartments which can sleep up to 5 adults. A full cooked breakfast is available each morning. There are numerous excellent restaurants and pubs in the immediate vicinity. Located in Temple Bar,the George Frederic Handel Hotel is within a few minutes walk of many of Dublincity centre attractions including Christchurch Cathedral, Dublin Castle Dublinia & the Viking World and Dublin’s Medieval Quarter. Enquire at reception about The Liberties Historical Walking Tour.